Website copy – does it need a tone of voice? I’ve been seeing TV ads recently that are targeted at people who want to quickly build their own simple websites. Now, as someone who’s built a couple of template websites, I was quite curious to see what’s on offer. You can personalise your site with layouts and colour schemes. You can choose your photographs from their range of stock shots: attractive people in smart suits who look overly cheerful while answering the phone, attractive families in the sunshine looking overly cheerful while taking a walk, attractive business people looking suitably serious while having a conversation. Plenty of blue sky, green leaves, sunflowers and other symbolic images. But as someone who writes for a living, I’m totally unimpressed by the ‘sector-specific text’ they offer for you to drop into your website. When I first saw the ad, it said there was space for you to write your own text. That must have bombed; the next version reassured people that they wouldn’t have to think of a thing to say about themselves. All a business has to do is to pick a sector – accounting, plumbing, jewellery – download the instant copy that describes a generic business, and put its own name in the gaps. They don’t do one for copywriters; I checked. This is both fascinating and sad. Too many people in the UK think they can’t write. We know this because we meet them when we’re running workshops. People who might write perfectly good emails, letters and documents all day long think they’re bad at writing because someone told them so at school. It doesn’t take much for people to believe there’s no point trying. If an internet-hosting business has gone to the trouble of commissioning thousands of words of ‘sector-specific text’, it must mean there are thousands of customers who think they need it. It also means they don’t want to use a copywriter, either because they think it’ll be too expensive, they haven’t met one they like, or they really don’t mind sounding just like everyone else. 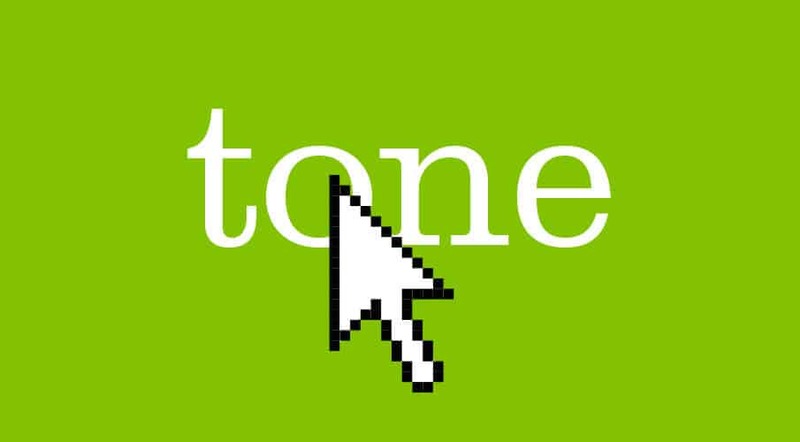 Do websites need a tone of voice? We spend our working hours helping brands stand out from each other, by writing in a way that identifies them as different. Just as photographers loathe seeing the same old identikit stock shots, copywriters groan at recycled phrases. Are we right to continue on our quest to make business writing interesting? Perhaps we should just write our own store of sector-specific web copy and sell it at £1 a download to thousands of small businesses and make our fortunes. What do you think? Is generic copy for websites the way forward? Or is this just pimping our words?